Ryan Andrews's This Was Our Pact is an astonishing, magical-realist adventure story for middle-grade readers. 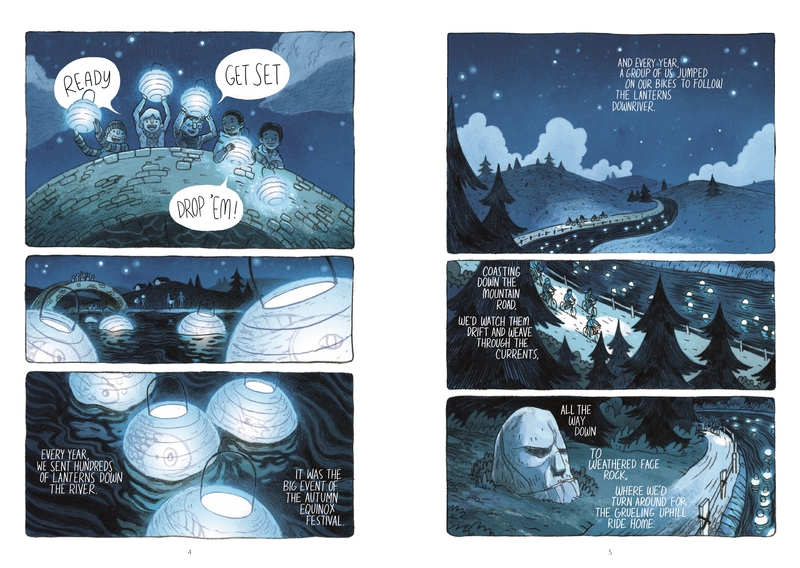 It's the night of the annual Autumn Equinox Festival, when the town gathers to float paper lanterns down the river. Legend has it that after drifting out of sight, they'll soar off to the Milky Way and turn into brilliant stars, but could that actually be true? 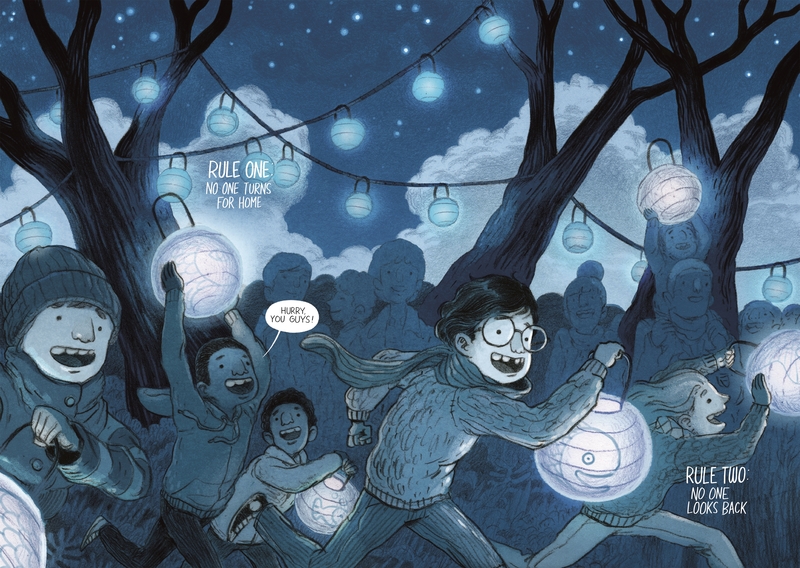 This year, Ben and his classmates are determined to find out where those lanterns really go, and to ensure success in their mission, they've made a pact with two simple rules: No one turns for home. No one looks back. 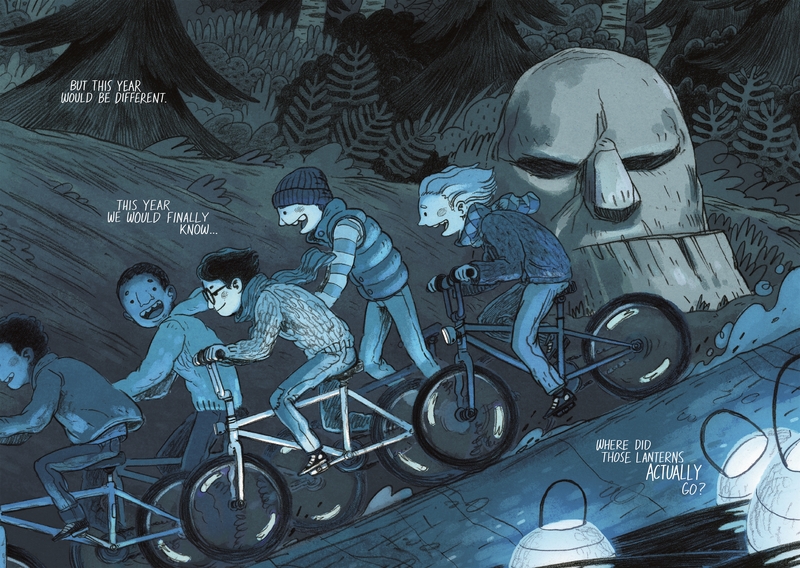 The plan is to follow the river on their bikes for as long as it takes to learn the truth, but it isn't long before the pact is broken by all except for Ben and (much to Ben's disappointment) Nathaniel, the one kid who just doesn't seem to fit in. 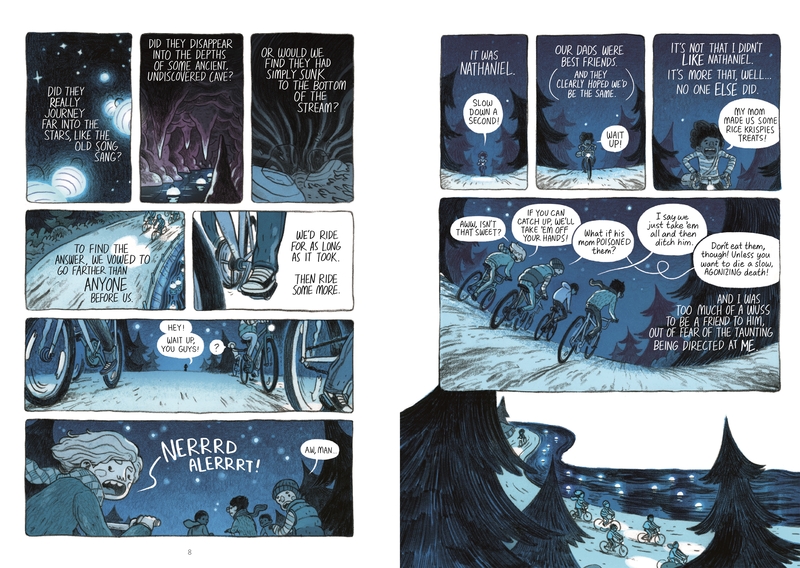 Together, Nathaniel and Ben will travel farther than anyone has ever gone, down a winding road full of magic, wonder, and unexpected friendship*. 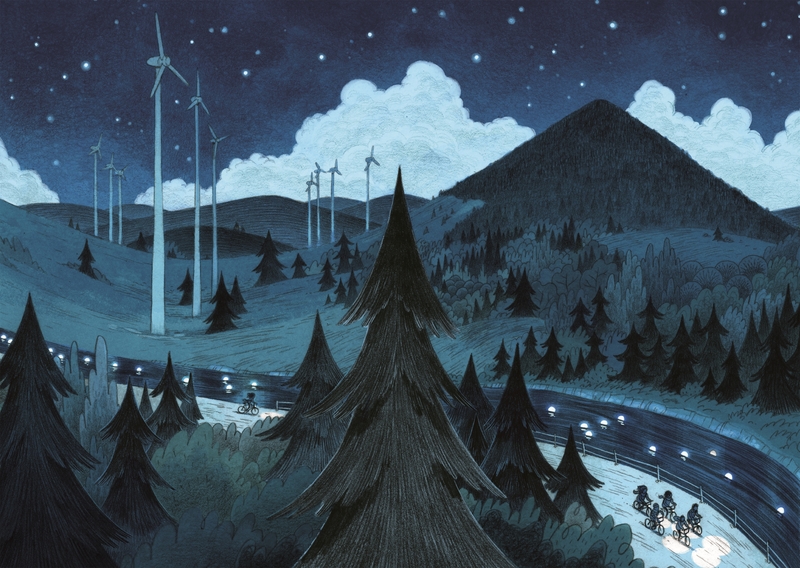 Ryan Andrews lives in the Japanese countryside, with his wife, two kids, and their dog. A friendly Kodama or two have been known to take up residence in the giant acorn tree that shades the house. Ryan works at his drawing desk in the early morning hours, to the sound of rummaging wild boar and badgers, who come from the surrounding forest seeking out shiitake mushrooms and fallen chestnuts. 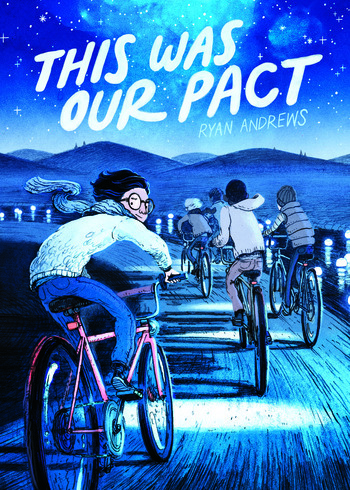 This Was Our Pact is his first book with First Second.